Location. 43° 12.033′ N, 71° 32.02′ W. Marker is in Concord, New Hampshire, in Merrimack County. Marker is at the intersection of South Main Street (U.S. 3) and Wentworth Ave. (Private), on the right when traveling south on South Main Street. Touch for map. 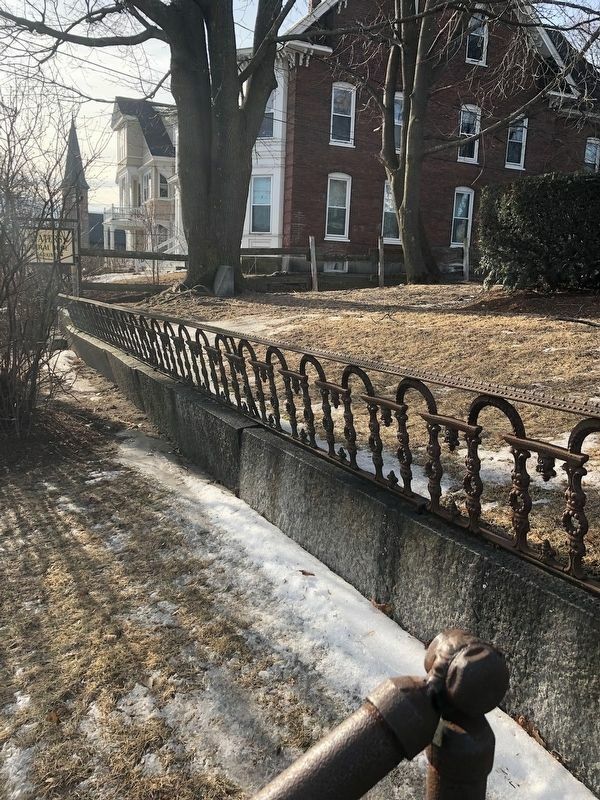 Located on the grounds of Waters Funeral Home at the southeasterly corner of the lot near Wentworth Ave. Marker is at or near this postal address: 50 S Main Street, Concord NH 03301, United States of America. Touch for directions. Other nearby markers. At least 8 other markers are within walking distance of this marker. Site of Home of President Franklin Pierce (within shouting distance of this marker); The Concord Coach (approx. 0.2 miles away); Concord Police Station (approx. 0.3 miles away); An Architectural Treasure Trove (approx. 0.4 miles away); Nathaniel & Armenia White (approx. 0.4 miles away); A Gift from Mary Baker G. Eddy (approx. 0.4 miles away); Concord's Architectural Heritage (approx. 0.4 miles away); Isaac A. Hill (approx. 0.4 miles away). Touch for a list and map of all markers in Concord. More about this marker. A large tree has partially grown around the bottom left side of the marker, obscuring some of the inscription. The parts of the inscription within brackets in the 'Text on Marker' section above are my best guess based on the inscriptions of two similar markers, Garrisons No. 5 and No. 6. View looking southerly toward marker and Wentworth Ave. from granite steps leading from public sidewalk. More. 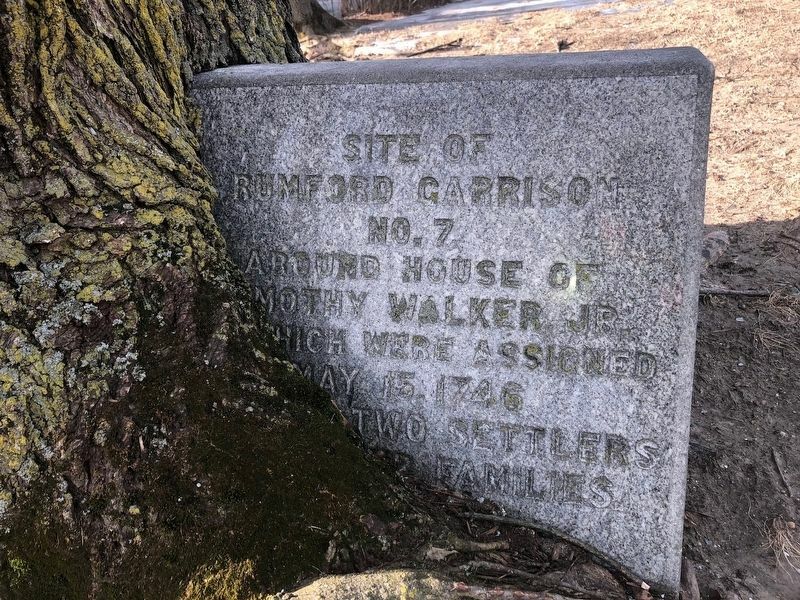 Search the internet for Site of Rumford Garrison No. 7. Credits. This page was last revised on April 15, 2019. This page originally submitted on April 15, 2019, by Douglas Finney of Concord, New Hampshire, USA. This page has been viewed 40 times since then. Photos: 1, 2. submitted on April 15, 2019, by Douglas Finney of Concord, New Hampshire, USA. • Andrew Ruppenstein was the editor who published this page.